This image is looking due west from the eastern side of the Alabama Hills. The Sierras still have a little snow. Notice the difference in the erosion patterns on the Alabama Hills boulders and the the sharp eastern Sierras. Both ranges were formed near the same time. Nature does funny things. 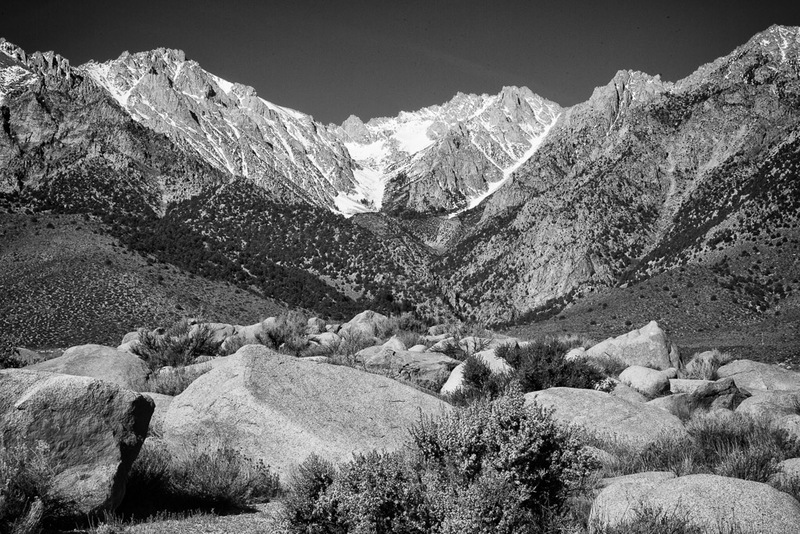 This entry was posted in B&W Photography, The Grand Landscape and tagged Alabama Hills, hills, Mountains, Sierra Nevadas on March 8, 2019 by kgrafphoto.